The shallow depths of ponds all across Europe used to be home to amphibians of all shapes and sizes. Now, these amphibians are threatened by human activities such as agricultural expansion, and the introduction of invasive species. While invasive species can be a threat to native biota because of competition, predation and infection, closely related species can actually also hybridize- a process that can lead to the decline and even extinction of the original species. La Kretz Center postdoc and Marie Sklodowska-Curie Fellow Ben Wielstra, together with the Netherlands’ Invasive Alien Species Team, the Dutch NGO RAVON (Reptile, Amphibian, and Fish Conservation Netherlands) and the Shaffer Lab, has long been at the forefront of investigating the spatial distribution and interactions of native and invasive species. Wielstra’s focal subject in the Netherlands are the Northern crested newts, the perfect model species for this research. Notable for the distinctive jagged crest on the backs of the males, Northern crested newts were previously abundant- extending from the British Isles to the Netherlands- but populations have declined due to habitat loss ever since the early 1900s. This isn’t the only problem they face; the introduction of the closely related Italian Crested Newt has led to unintentional hybridization. A common example used to describe the impact of invasive species is the introduction of domestic species such as dogs and cats in New Zealand. Their introduction had a massive impact on the country’s community of flightless birds. In this case, the impact was obvious and easily observable. For Wielstra’s newts however, the challenge of researching invasive hybridization was that closely related species tend to be morphologically similar, meaning that collecting genetic information was necessary to quantify their impact. 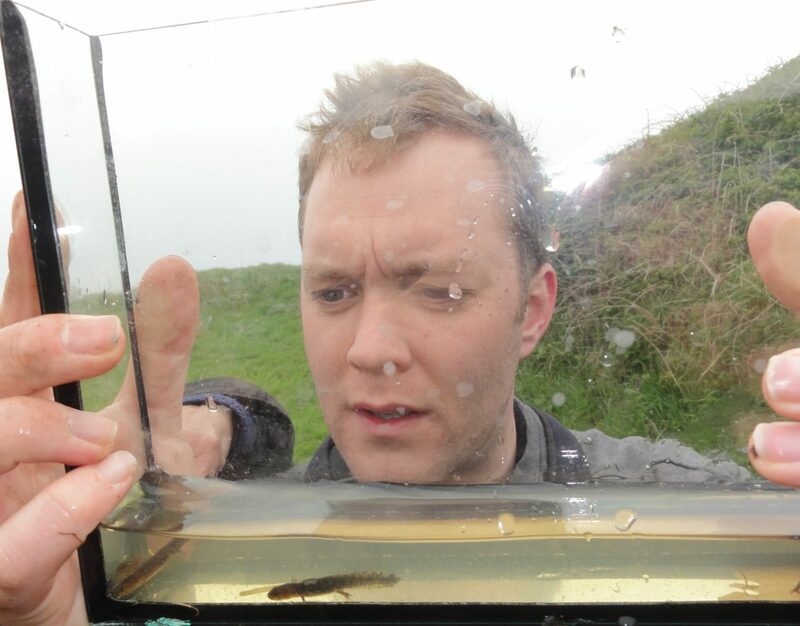 As Wielstra’s research determined, the Italian crested newt expanded to such an extent that they have reached core populations of the native species. Wielstra was able to track these expanding hybrid zones from clues left behind by the original species in the form of native alleles. By screening many genes, Wielstra was able to uncover genetic remnants of the original species. Parallels can be drawn to California’s own tiger salamanders, a diminutive species whose population is hybridizing with invasive Barred Tiger Salamanders. These hybridized salamanders exhibit different behaviors from native species in that they are larger, and are more ferocious predators. The hybridization of closely related invasive and native species is a complex issue. Because of similar morphology and genetic composition, protecting the native species requires large scale genotyping and careful removal of the invasive species. Wielstra hopes that his team’s research on hybridization can help policy-makers develop guidelines on how to manage these closely related invasive species.